Our exclusive bell tips are made of durable rubber for our ACTIVATOR™ Poles. 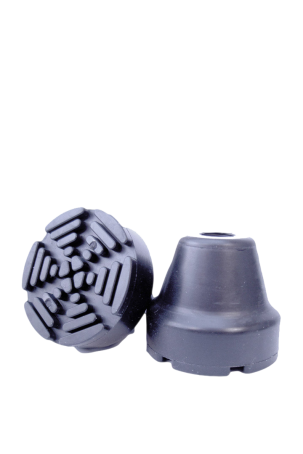 The bell-shaped tips provide greater stability and weight bearing than the traditional Nordic walking boot tips. Replace bell tips when the tread begins to wear and affect their stability, grip and shock-absorbing capabilities.